I love this company! Mercedes is the sweetest florist in town! She was extremely patient during all our meetings even though we couldn't make up our mind about the kind of centerpieces we wanted. She is very creative and gives a lot of helpful suggestions, but at the end of the day, she listens to exactly what her clients want and delivers with great service. Her package deals are affordable and so convenient because you could get most decoration needs done in one place. Less stress equals happier client! She is also very responsive to emails and just basically treats you like family. I would definitely recommend this company for flowers and décor in a heartbeat. Very professional and very accommodating. Will work with her in the future. She stayed within my budget which was very important to me. Thanks ESI. Is very professional and always has your best interest at heart. Very competitive and will Always try to stay in your price range and will do whatever needed to give you a beautiful wedding. Highly recommend. Event Supplier has been our vendor for years. They offer superb service for an excellent cost. They are very responsive and always on time at the events. I'm so satisfied with their service I stopped shopping around because I know I won't find the same quality for the low cost. Thanks so much Event Supplier. Thank you it means a lot. Loved working with Meche! She gave us wonderful ideas for both of our daughters Quinces and the venues turned out beautiful!!! Looking forward to our daughters weddings!!! Excellent Customer Service. 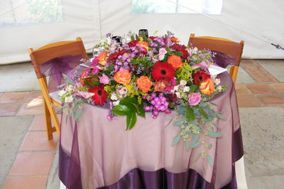 Mercedes the organizer is very professional, accommodating and knows what is needed to put a wedding together.